Plantar fasciitis is the inflammation of the plantar fascia which is a fibrous tissue in the foot that joins the toes to the calcaneus (heel bone). This inflammation can often limit your activity. Your pain is usually intense at the front of the heel or through the arches of the feet, particularly on renewing activity, after rest, in the morning and/or during the day. Over-pronation, abnormally high arches, flat feet or footwear can increase the strain on your feet and contribute to the inflammation of the plantar fascia. 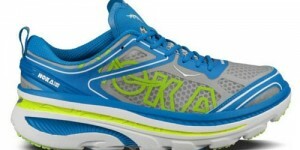 supportive cushioning in your shoes. A course of Foot Manipulation Technique. Erica Dash Podiatry has the same day solution for your heel pain. Call 43670177 or Click Here to make an appointment to see one of our qualified Podiatrist’s.